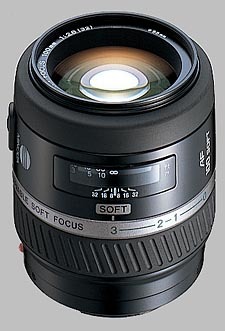 (From Konica Minolta lens literature) This unique lens sharply autofocuses your subject and provides a soft surrounding effect. This softening effect can be chosen at or between 3 settings. When the soft effect is set to "0", it can be used as a normal 100mm lens. It features a circular aperture for a more natural-looking background. The 100mm soft focus is love in the first sight. The soft focus effect performs extremely well manage on digital and film. This lens also has the resolution like the 100 Macro, without the, in times, harsh contrast. How good is this lens? My wife never interested in photography, until she sees our daughter’s pictures taken by this lens. Now, I can’t get her hands off it.